Epsilon recorded 97 percent of its $1.9B 2018 revenues from clients in the US. It employs 9,000 staffers, of which 3,700 are data scientists and 2,000 are technology delivery experts in Bangalore. Publicis will forge a strategic partnership with Alliance Data’s remaining businesses. The Epsilon deal is expected to close during the third quarter. 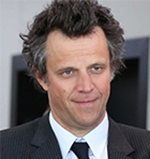 Publicis also reported a 1.7 percent rise to Q1 revenues to $2.7B. Organic growth dipped 1.8 percent. The flagship North America unit, which generates 53.8 percent of revenues, was flat, though down 4.6 percent on an organic basis. Sadoun blames advertising and media losses for the lackluster NA performance.